The new 2019 Jeep Cherokee rolls out with an updated exterior, a new turbocharged engine, and upgraded infotainment on the interior. It’s nearly as capable as the Grand Cherokee but comes in a slightly smaller package. That package has been loaded with more value to compete with the likes of the Nissan Rogue and Honda CR-V. The new Jeep has some notable semi-autonomous safety features, classy luxury options, and some of the most capable off-road gear of any vehicle on the market. The model line-up is as follows: Latitude, Latitude Plus, Altitude, Trailhawk, Limited, and Overland. The Latitude models are suitably equipped but will most likely get skipped over for the Trailhawk, Limited, and Overland. That brings your choice down to just two things: off-road romping and premium amenities. The exterior refresh for the 2019 Jeep Cherokee is subtle but noticeable. Now, it looks like the little brother of the Grand Cherokee, as it should. The headlamps and fog lights are more unified in their design placement. The daytime running lights share housing with the headlights and the fog lights are standard on all models. Otherwise, the Cherokee gets inline with other crossover SUVs in the segment. The profile is modest with only a slight design line high in the door paneling. The rear of the Cherokee is free from gimmicks and focuses your attention to the tail lights and not a bulky bunch of unnecessary paneling. The Trailhawk has some distinctive style elements that set it apart from other model trims. The bumpers, which are all blacked-out and have attractive red tow hooks, also have been reshaped to increase the approach angle. The roof rails, mirrors, and grille all have Trailhawk customized accents. There are two different 17-inch wheel designs available for the Trailhawk, and it looks positively fierce with all-terrain tires. The 2019 Cherokee has three all-wheel-drive systems and best-in-class towing, as you would come to expect from a Jeep. When adequately outfitted with four-wheel drive, it can tow up to 4,500 pounds. The front-wheel-drive set-up will drastically reduce those capabilities down to 2,000 pounds. There are three powertrain options for the new Jeep. The first option is a lackluster 2.4-liter, four-cylinder engine that doesn’t add much value to the Cherokee. Most buyers will want something more powerful and will be willing to compromise a few points on fuel economy to get it. There’s a new engine for the 2019 Cherokee: a 2.0-liter, turbo four-cylinder engine that achieves 270 horsepower and 275 pound-feet of torque.� The heftiest powertrain option is the 3.2-liter, V6 that does all the heavy lifting. All Cherokee models get mated to a nine-speed automatic transmission. The best model for 4×4 capabilities is the 2019 Jeep Cherokee Trailhawk. It has a complete skid plate beneath the vehicle that covers the front suspension, fuel tank, transmission, and underbelly. It has better ground clearance than other models and knobby tires to conquer any terrain. The Trailhawk also has a wider stance, heavier frame, and more height. It has two tow hooks in front and one in the back, and off-road prowess bolstered by crawl control, select terrain traction, and off-road suspension. The 3.2-liter V6 comes standard on the Trailhawk, and it also comes standard with a heavy-duty engine and motor oil cooling systems. The Trailhawk can get outfitted with the more fuel-efficient inline four, but doing so would compromise the power and capabilities of the Trailhawk and only serve to feature its badges and cosmetic embellishments. In other words, don’t swap out the motor. The 2019 Jeep Cherokee has 128 cubic feet of passenger volume and 54.9 cubic feet of total cargo space. Rear seats are 60/40 split-folding and move front to back to help with loading and storing cumbersome objects. The interior space is built to fit nearly any purpose. There are storage spaces for all sorts of items inside the cabin. The glove box is large. The center stack has two different slots for mobile phones or purses. If you’re bound to get dirty, then you can equip the Cherokee with easy-wipe vinyl seats, all-weather floor mats, and humidity sensors. If you’re looking for a more sophisticated interior, then the Limited and Overland models have available luxuries on tap, as well as a heated, leather-wrapped steering wheel and matching shift knob. They also have a power liftgate, garage door opener, and heated front leather seats. Swanky. The 2019 Cherokee has an updated infotainment system that starts with a 7-inch touchscreen display in the center console. 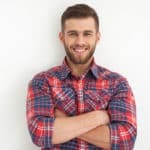 The Uconnect interface is rather straightforward and easy to navigate with voice commands and large icons. Every model gets a USB port, six-speaker audio system, Bluetooth capability, and two 12-volt power outlets. Another standout feature is Android Auto and Apple CarPlay being standard on all model trims. That’s a huge win for the Cherokee because some automakers aren’t offering it at all. The Overland model trim benefits from HD radio, a nine-speaker sound system, and an 8.4-inch touchscreen display. Safety in a new Jeep starts with eight airbags and a high-strength steel frame. The 2019 Jeep Cherokee comes standard with a rearview camera that can help with rear visibility since the thick pillars partially obstruct the driver’s view. Several electronic stability and traction systems are also standard. Since the Cherokee has class-leading towing, it’s good to know that it also has a trailer sway control function. This safety feature automatically adjusts braking, torque, and horsepower to help keep the trailer in line with the rest of the vehicle. The 2019 Cherokee has some advanced driver-assistance features, but you won’t find them on the base model. Blind-spot alerts and cross-path detection start on the next tier, the Latitude Plus. Full-speed collision and lane-departure warnings and crash mitigation are only optional on the Overland and Limited models. Unfortunately, if you want the off-road performance of the Trailhawk Cherokee, you’ll have to sacrifice these enhanced safety features altogether. It’s either one or the other. 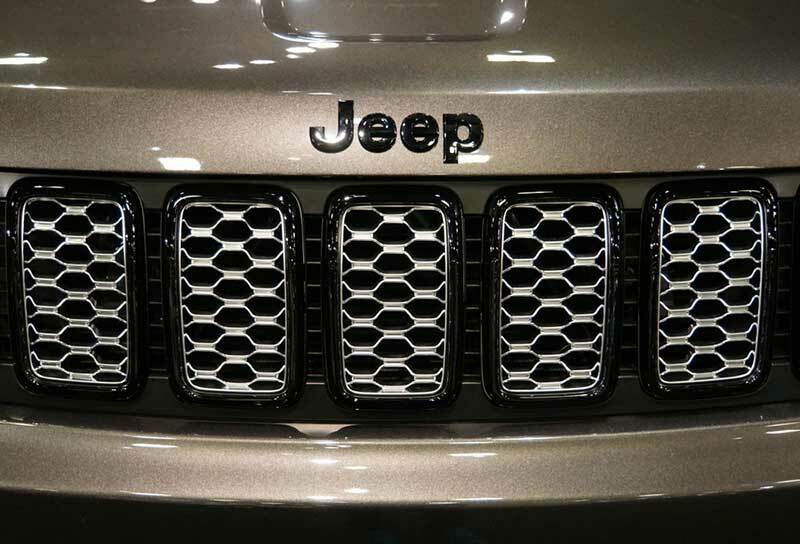 It’s good to see the Jeep Cherokee lose its polarizing front fascia and adopt a more simplified front grille. The redesign was a good idea and implemented at the right time. The 2019 Jeep Cherokee is well-appointed with features like Android Auto and Apple CarPlay. It also has an infotainment system that isn’t too busy or distracting. The 2.4-liter, four-cylinder engine is a waste of space though. Also, if you’re in the market for a Trailhawk model, you’ll lose some advanced safety features like lane departure and front collision warnings. So, where the Cherokee does well, it does exceptionally well; in other areas, it seems to trip over its own feet. 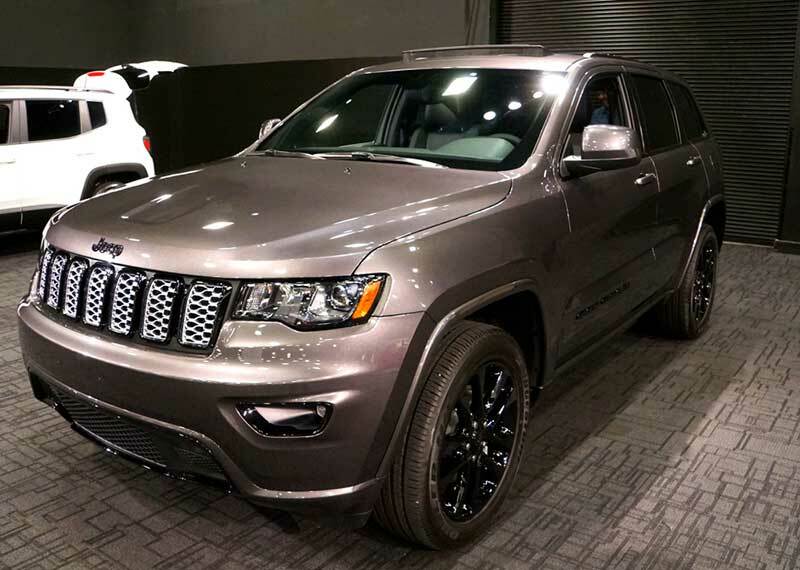 The 2019 Cherokee isn’t just banking on its off-road capabilities, but you will have to customize your Cherokee at nearly every level to get the right blend of features and functions.